It would be true to say that Dean Nolan, the founder and CEO of BetKing, was ahead of his time as far as realising the potential of cryptocurreny within the gaming industry. A former poker player turned Bitcoin entrepreneur, Dean started BetKing in 2013 and between 2014-2016 it held the position of the world's most popular crowdfunded Bicoin casino. Betking closed it's doors in December 2016 after seeing over 400,000 BTC wagered, and turning a very healthy 7,400 BTC profit for its investors. After taking time-out to re-energise and to expore how best to take a new and improved BetKing to market, Dean found immediate interest in his proposal for BetKing 2.0 and in just one month has already raised over $4.2m* in crowdfunding for the new site which launches on September 4th. So, when we had the chance to sit down with Dean Nolan and pose him a few questions, we couldn't help but pick his brain about the ever-growing crypto market, why so many poker players seem to be getting involved, and of course the upcoming launch of Betking. HSDB: When did you get into crypto currency? DN: I first got in around the end of 2012, when looking for payment options for a poker site I was developing. 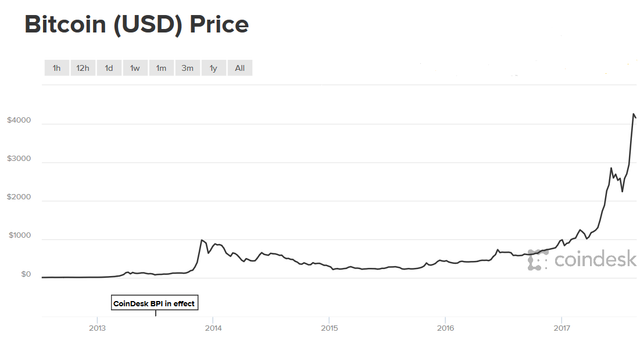 HSDB: Where do you see BTC going? DN: We are still at a very early stage in the development of Bitcoin. If you get involved now, you are an early adopter in technology that will change the world of finance, economics and politics. If you were looking for a price prediction then I'll throw out $6000 by end of the year. DN: I'm not much of an expert on Ethereum. I don't like that it's an inflationary currency or that they forked the chain to roll back transactions. I think it sets a bad precedent. Seems mostly used for raising funds for ICO's at the moment than anything else. HSDB: What do you think attracts poker players to crypto? DN: I speak with pro's every day and they believe the current trading market is softer than poker was in the glory days. Many are moving from poker to trading full time. Above: Considering Dean got into Bitcoin in 2012 we can only assume he's done rather well out of them! HSDB: Tell us about BetKing? DN: BetKing was the most popular and trusted crowdfunded Bitcoin casino from mid 2014 to the end of 2016. The site made 7400 Bitcoin profit in around 2 years and at peak we had a bankroll of over 6000 Bitcoin that was returned to investors when we closed. We're relaunching on the 4th of September with a brand new platform and games after an ICO fund raising period. This time I've put together a team who are working on new games and features. I done everything myself the last time. HSDB: Which pros are involved in BetKing? DN: That would be up to them to make public. HSDB: Will you ever offer poker games on BK? DN: Definitely. I aim to bring back poker by the end of the year or early next and offer high stakes action and new games such as short deck Hold'em. HSDB: What do most people get wrong about crypto currencies? HSDB: Why a dice platform? DN: It's the most popular game in Bitcoin gambling. It's simple, fast, insane and provably fair. Meaning you can prove mathematically that the house didn't cheat you. HSDB: So we see you offered McGregor at 5/1...smart bet? DN: I think people are going to be surprised in this fight. Conor for the win within three rounds. HSDB: How did you come up with the idea of BetKing? DN: I saw problems with online poker where it was becoming increasingly harder for new players to have any chance of winning or even have fun. I thought that I could solve this problem and launched a poker site that would then go on to become BetKing. HSDB: Tell us about your poker days? DN: I play for fun and like playing the best of the best. I've had a couple of decent results in live cash games and luckboxed a good score recently in SCOOP. I think you could describe me as a high stakes donk that can't beat 5nl online. Favorite game is 6 card PLO. HSDB: Thoughts on the future of poker? DN: I think there's more potential than what most people think. Adding new games like short deck Hold'em and 6O while making games more social could help. HSDB: Top piece of advice for any poker player thinking about investing in crypto? DN: If you thought you were used to swings you've not seen anything yet. Research a lot and use good bankroll management. Practice trading with small amounts of alt-coins. Follow Jmo on Twitter. HSDB: If you have a $50k poker bankroll and play $200nl….how much of it would you put into poker and how much of it into crypto? DN:I'd stop being a nit and move up. I'd put all of it into Bitcoin and only trade as many buyins as I needed when buying in to a game. It's probably smarter for people to reduce their risk and put 10-15% into crypto though until they have more experience to make educated decisions. 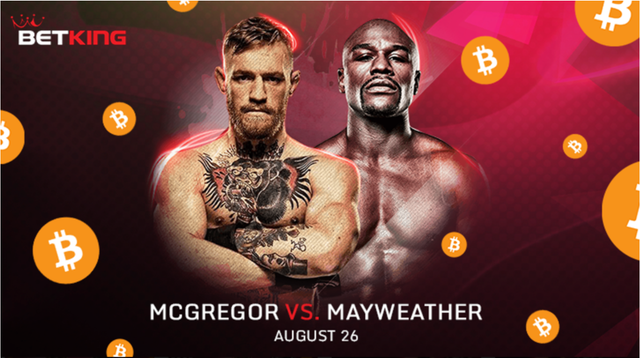 BetKing opens its doors for business on September 4th but you can already take advantage of a very special price BetKing are offering on Saturday's big fight between Conor McGregor and Floyd Mayweather. At the time of writing you can get favourable odds of 5:1 on a McGregor victory. Join BetKing today through HSDB to take advantage of the odds, and be ready and waiting for the full site launch on September 4th. Hi Pete ... grateful if u could relay this message to Paul Phua "Jimmy Wong awaiting for your approval .... this is his mobile +6019 686 0858" . Perhaps Phil Ivey may be able to help connect with Paul who will be pleased. Thanks again !